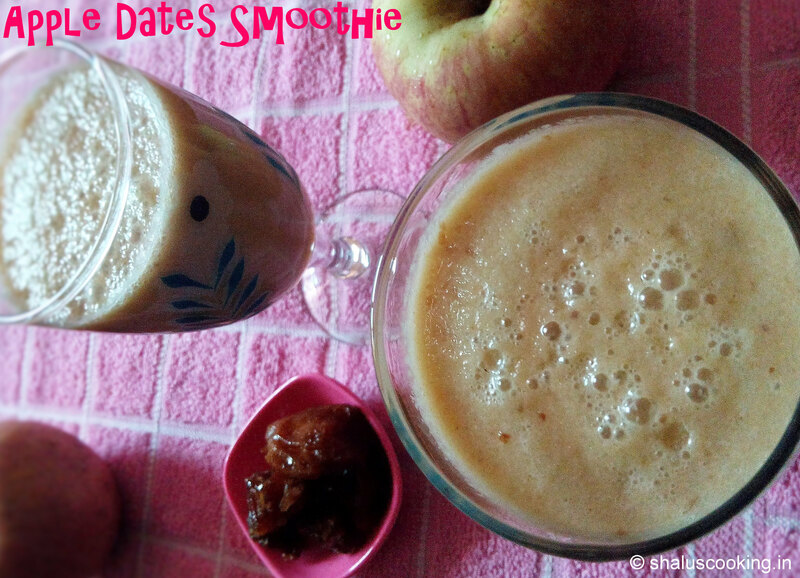 Apple Dates Smoothie, this is one of the healthy and tasty beverages. As we all know apple and dates are very good for health. You may prepare this smoothie and give this as part of breakfast to your kids. All that we need to prepare this is apple, dates, milk and sugar (if you prefer). It is good have without sugar if you are health conscious. The combination of apple and dates will be really good to taste. Try this out, definitely you guys will like it! 1. Keep all the ingredients ready to make Apple Dates Smoothie. a. Peel the apple skin and cut them into cubes. b. Soak the Dates in water overnight. c. Boil and cool the milk. 2. Add the apple cubes and soaked dates into a juicer jar. 4. Add the boiled and cooled milk and sugar. Blend it until smooth and frothy. 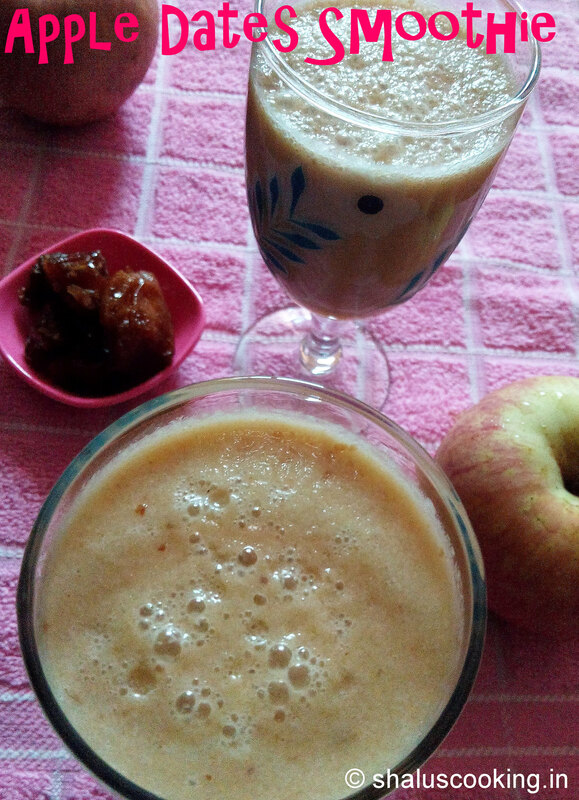 Simple, healthy and tasty Apple Dates smoothie is ready to be served. Tastes good when chilled. Decreases the risk of diabetes and lot more.